Take a Self Hearing Quiz - Healthy Hearing Inc.
Do you have difficulty understanding in the presence of background noise? When watching television or listening to the radio with others, do you need to set the volume higher than they would to hear what is being said? Do you complain that others mumble or speak unclearly? When attending a religious service, theater, meeting or at a dinner table, do you have difficulty understanding what is being said? Do you avoid social gatherings because there is too much noise or you cannot hear what people are saying? Do you experience ringing in the ears or other head noises? Have your family members, colleagues or friends asked you whether you have a hearing problem? 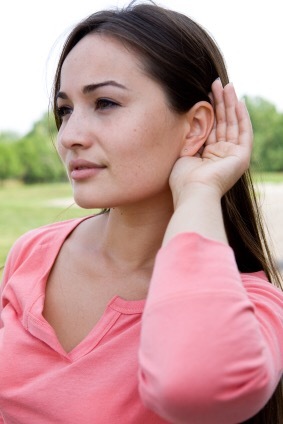 If you have answered yes to any of these 10 questions, it may indicate a hearing loss. It is recommended that you make an appointment to schedule a consultation or hearing assessment with a hearing health care professional to determine whether these difficulties are due to a temporary or a permanent hearing impairment. Please contact us to schedule an appointment for a hearing assessment and house call.